Designed to fulfill the specific needs of girls, Girl Scouts of Wisconsin Southeast (GSWISE) serves over 29,200 girls between the ages of 5 and 17 in Kenosha, Milwaukee, Racine, Washington and Waukesha, as well as the southern part of Ozaukee and eastern parts of Dodge and Jefferson counties. 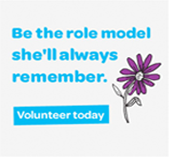 GSWISE provides a girl-centered quality leadership experience that meets the needs of girls in a fast-changing world and ensures a lifelong connection with Girl Scouting. Partnered with adult volunteers and community, and infused with the principles of inclusion and diversity, GSWISE is the premier organization for girls. The unique Girl Scout experience begins with the values of the Girl Scout Promise and Law. Through the Girl Scout Program, girls discover, lead and take action, building skills that yield the desired outcomes of courage, confidence and character. Ultimately, through the Girl Scout experience, girls aspire to make the world a better place. GSWISE is always accepting employment inquiries from applicants interested in joining our teams. If you are interested in a career at , GSWISE please use our online resume form to apply. GSWISE is an Equal Opportunity Employer.